Please choose an image for a larger version and description. 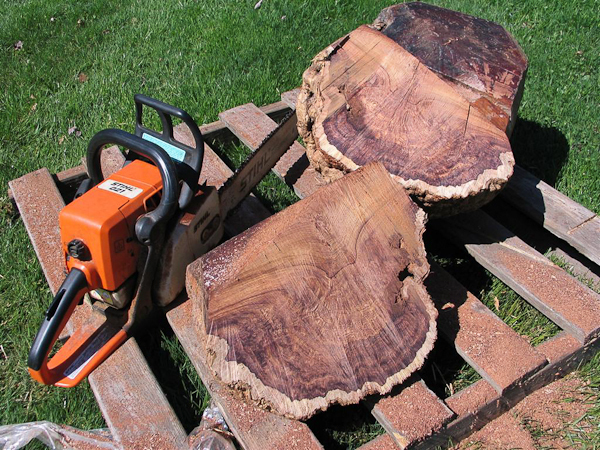 It is sometimes necessary to use a chainsaw to cut a burl into a manageable size. This 100 pound rosewood burl is one of the most incredibly figured speciemens I have ever seen.